For any home or business owner, routine maintenance checks and repairs are essential. The most common place we need repairs on is the garage door and the garage system. When was the last time you serviced your garage door? Has it been at least 6 months? If so, you should schedule a routine maintenance check up. Since garage doors offer us easy access to our vehicles and homes, it is important that you hire only the BEST to work on it. At Garage Door Repair Irvine, CA, we specialize in garage door repairs as well as new installations. We are a dedicated company that provides any and all garage door related services to our customers at minimal cost. Over the years we have been the ideal choice for locals in the city of Irvine. We love our community and strive to provide the absolute best service to its members. We are also proud members of the BBB in Irvine, CA. We are very experienced at what we do and hire only the most experienced technicians to ensure quality service to all of our clients. Very few can match up to our level of expertise, let alone our turnaround time in which we complete jobs. Besides garage door services, we also offer gate repair and installation services for Orange county locals as well. We are here to help you with any issues you may currently face and are glad to help. Our company works with a ride range of garage door companies, such as 1st United, Raynor, Amarr, and more! We are beyond confident we can satisfy all of your needs and wants when it comes to garage doors and gates. Here at Local Garage Door Repair, we believe the satisfaction and support of our community is priceless. We offer the lowest rates in the area to ensure our services are accessible to all of the community’s inhabitants! The best part is – our low prices do not compromise the quality of the service you get. No one can provide you with lower prices while matching our level of experience. Give us a call to schedule an appointment! Same day appointments available as well! If you need your garage door or gate repaired, you can reach us by phone at (877) 607-4275 or fill out this free estimate form. Garage Door Repair Irvine CA	Overall rating:	4.9	out of 5 based on 10	reviews. Springs play a crucial role in the functioning of the garage door. If the spring becomes loose or broken this can cause the garage door to work improperly. Garage door cables are another vital component of a garage doors. Without it the door can’t function at all. We are here to help you fix any cable issues. These devices are used to close and open garage doors either from a remote control or keypad. If you are having issues we can fix that at minimal cost to you. 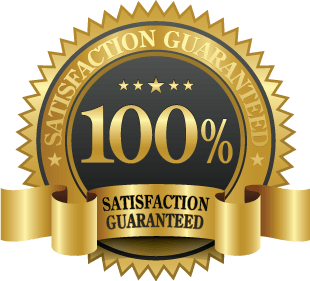 Garage Door Repair Irvine not only repairs commercial garage doors but also provides you with new installations from name brand manufacturers. 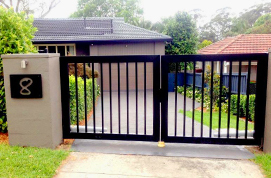 We can repair all types of gates from swing gates to automatic slide gates plus more.